﻿ Thoi Dai Hotel, Da Nang | FROM $14 - SAVE ON AGODA! 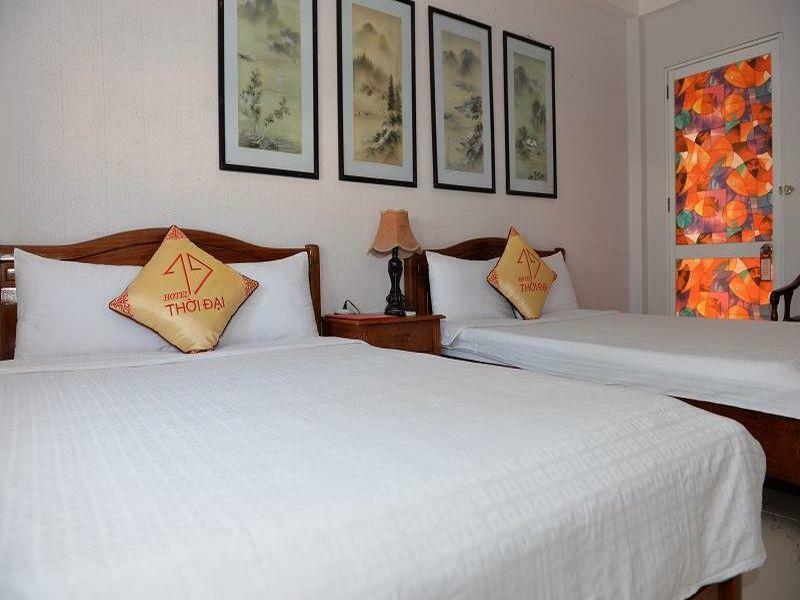 Have a question for Thoi Dai Hotel? "Especially super friendly and helpful staff members." This property is located in the heart of the city, offering guests a convenient stay at an affordable price. 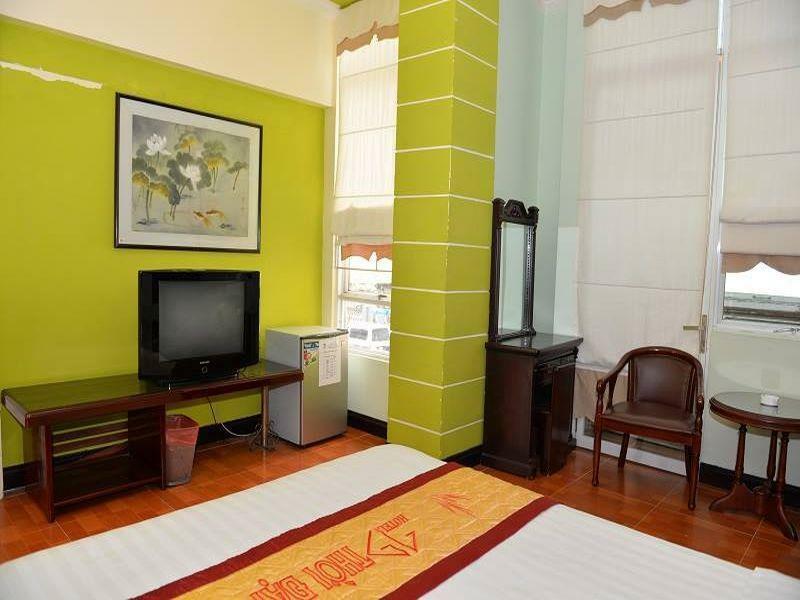 Thoi Dai Hotel is located in the heart of Danang and is just 10 minutes away from Danang International Airport. This hotel is in close proximity to the financial, tourist, and commercial areas and is fit for both business and leisure travelers. 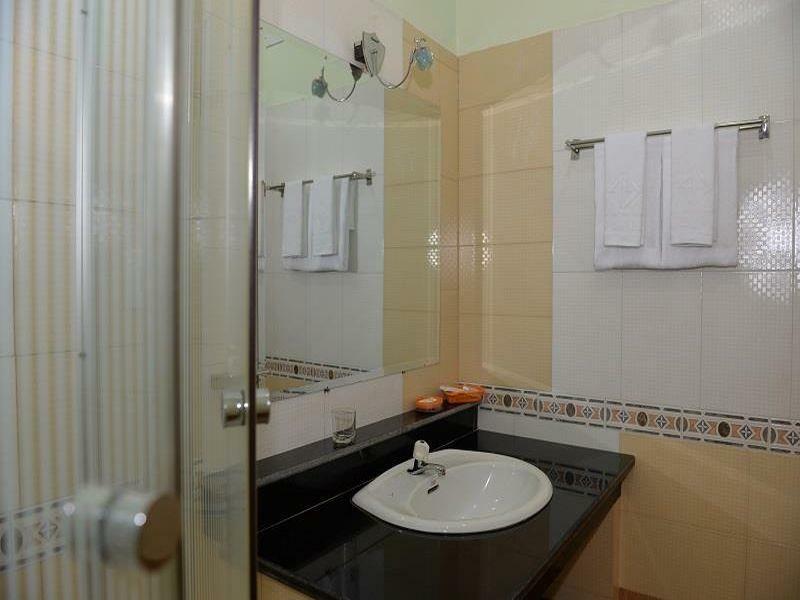 Guests have a choice of different room types, each offering all the basic amenities that guests need. Guests who want to explore the nearby attractions can visit Danang Beach, Marble Mountains, Hoi An Ancient Town, and Han Market. 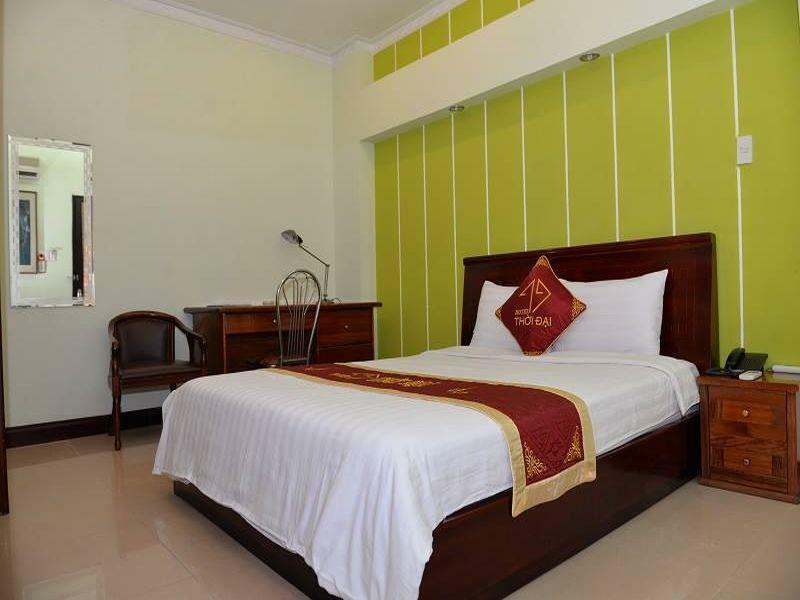 Pick Thoi Dai Hotel as your comfortable choice of stay when visiting Danang. When you have to wait for plane schedule, i recommend to stay here. Great place to stay. Good location to anywhere. Keep the clean room always. Affordable price. Especially super friendly and helpful staff members. Although some staff can not speak English well, they tried to understand my requests and their best! I will probably stay here again. Thank you so much! First of all, this hotel smells bad, the room smells bad and it's just overall run down. The room is dingy, it's in a decent location but it's incredibly noisy even with all the windows closed. In the middle of the day, there was loud hammering noises above and I let the receptionist know and they said there's nothing they can do about it. The bathroom is small and there isn't a separate shower. Breakfast not included (not that I would eat it anyway). I spent $10-15 more the next day for a much nicer hotel with an impressive breakfast buffet, rooftop pool, free shuttle service and a beach view. We were a few small families staying one night. The staff accommodated for our needs with the 3 small children between us and even let us check out later than the noon deadline. the hotel room was very basic no coffee or tea facilities, no safe,no restaurant, we had to go out for all our meals. the only good thing we can say about this hotel is that staff were friendly helpfull and could speak english.the location is good as it was close to the river with lots of eating places and within walking distances to sight seing places. About 50 metres from river front. While the location was good I could not recommend this hotel. Our "superior" room had no window, no coffee or tea making facilities, very thin towels and no restaurant which meant going out for breakfast in the mornings. We like firm beds but the mattresses in our room were so hard there was absolutely no give in them. While the staff were friendly enough, they spoke no English, and when our room had not been made up the first day, they had to put me on phone to talk to someone who spoke english so I could explain we needed clean towels. Laundry was offered, but there was no laundry bag although and no explanation on how we could get laundry done. a good budget hotel. the rooms were clean and the bed was comfortable. the top floor room we had with its large glass windows suffered from a bit of street noise. Easy transport to the beach, probably could organize cheap tours if you needed it. Chambre un peu usée et pas très propre. L'hôtel semblait en travaux mais on ne nous a rien dit. Très bruyant car une fenêtre ne fermait pas complètement. Accueil assez froid. Emplacement ok, proche du marché et de l'agence de tourisme utilisée pour venir à Danang. * séjour agréable. bien situé en centre ville pour restauration.